As always a very busy term where students and staff have thrown themselves into a whole range of events and learning opportunities. The Easter concert this year was full of musical talent of the highest level. Congratulations to all the students who performed and those back stage who enabled the production to happen. Well done to Mr Joris and his team: the students are an absolute credit to your department. To those families who supported the evening, your Mexican wave was truly marvellous! 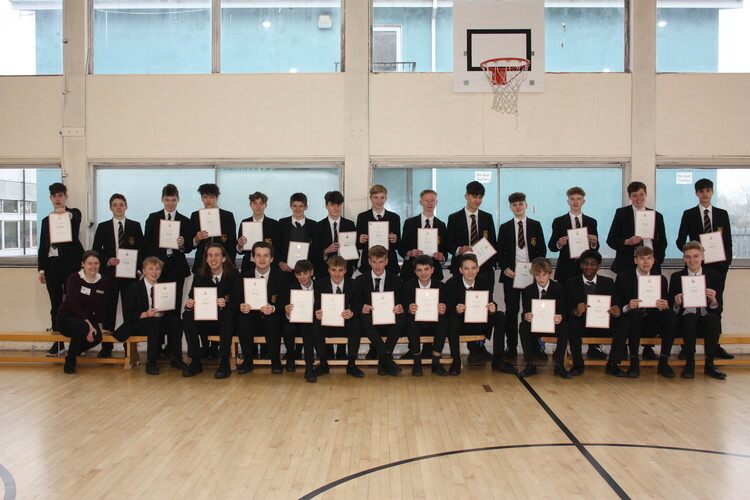 Mr Menzies has provided a thorough update in the newsletter as various football teams have continued to thrive in local and national competitions. We wish the Year 10 and Year 8 teams good luck for their forthcoming finals. We are extremely proud of you. Mr Downing has once again organised and delivered a very successful Mason mile with students and staff running together and having a great time. Well done to everyone for taking part in such a great event. During the Easter break a large number of Year 11 and Year 13 students will be in school working with staff in specialist revision sessions in preparation for their final exams. With only seven weeks to go before the formal exams begin, this Easter break is a key time to consolidate learning. It can be a very stressful time for young people and a balance between revision and relaxation is needed. In terms of expansion news, KCC inform us that we are still on track to start building at the end of July. In September, we will be welcoming 240 Year 7 students. This year we are again oversubscribed and the competition for places continues to be high. The capital fundraising campaign for a new sixth form centre is underway and we have held our first parent reception. Over the coming months every family will receive an invitation. Please support these receptions and come and listen to our exciting sixth form plans. If we do have any parents/carers who are architects and interested in volunteering some expertise, myself and the campaign board would be very grateful. Please get in contact with me. So here’s hoping the Easter break delivers some blue sky days, warm sunshine and much needed downtime for families to enjoy. Your continued support is much appreciated. Have a lovely Easter. 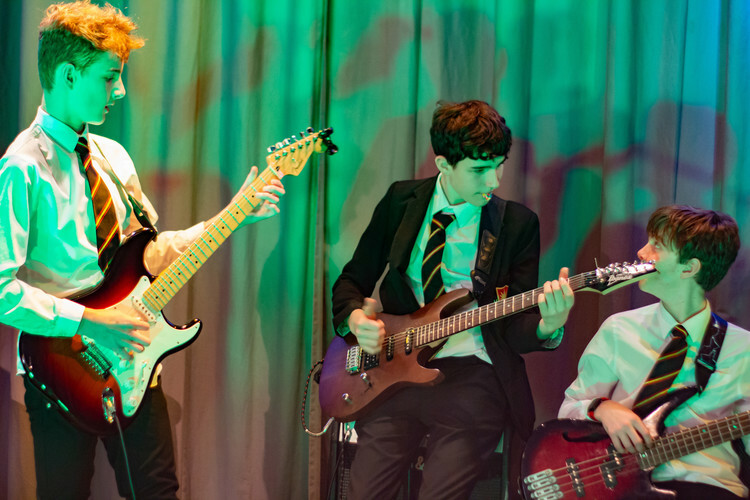 The Music Department’s annual Easter Concert was a great success again, with a wide range of music performed by students from all year groups. From piano and guitar solos, to larger bands, we heard classical, jazz, pop, rock and soul music, all seamlessly linked by the jovial Ed Shamwana. We would like to acknowledge the superb technical team that made the night run smoothly and thank parents for their support of the department. The campaign now has a name: Today. Tomorrow. Together. The Student Council wanted the campaign name to represent what it meant to them. The new Sixth Form Centre is for the students of today, the students of tomorrow and together we will raise the money and build it. We held our first parent reception on the 14th March for a selection of Year 7 and Year 8 families; we split the receptions by postcode, to make the events more personal. Every family throughout the school will be invited to a reception during the course of the next 4 or 5 months. When I wrote at half term, we had raised £47,000. I am pleased to tell you we have now raised £122,457.50! This is phenomenal! We’ve made a great start, and continue to work towards our £750,000 target. If you have any alumni connections to the school, please could you let the campaign office know so that we can begin to build a solid alumni relationship. I wish you all a great Easter Break, and look forward to meeting you at a reception soon, keep an eye out for your reception invitation! 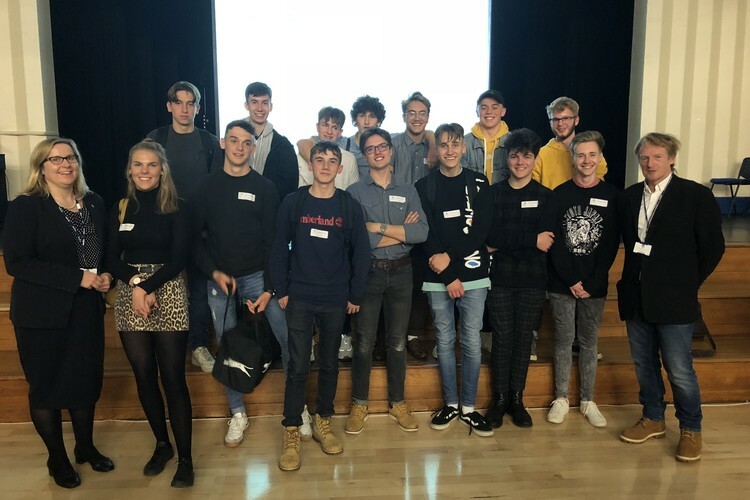 The KS5 Philosophy Students joined The Judd School in visiting Maidstone Girls Grammar School to participate in the KS5 Kent School’s Philosophy Conference. Our students had a fantastic time and were a real credit to our school. 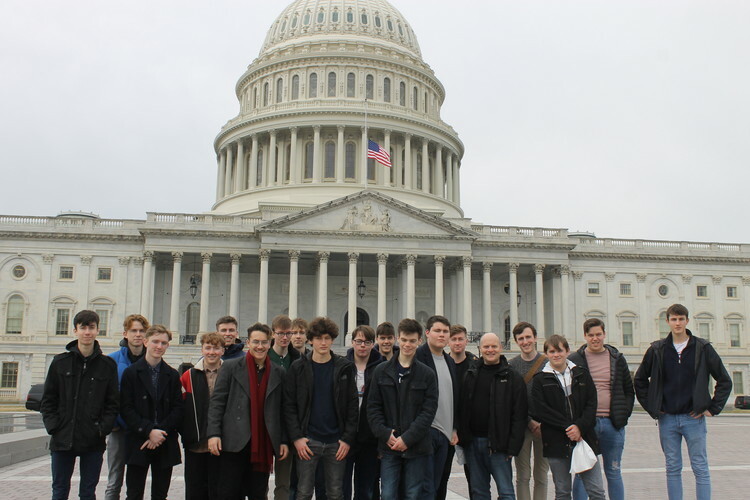 They thoroughly enjoyed meeting Stephen Law, a leading philosopher, who led a seminar on ‘The Problems of Evil’ and ‘The Existence of God’. They actively participated in the various workshops offered throughout the day. They especially enjoyed the finale of the big debate between the schools exploring ‘Science and rational thinking excludes the need for God’. The White House was looking particularly luminescent against a clear, deep black sky. We tried hard to catch a glimpse of straw-coloured hair through the windows, but to no avail. We were on a walking tour of Washington DC, beating the jet lag and having just ordered and consumed our ‘designer’ pizzas. 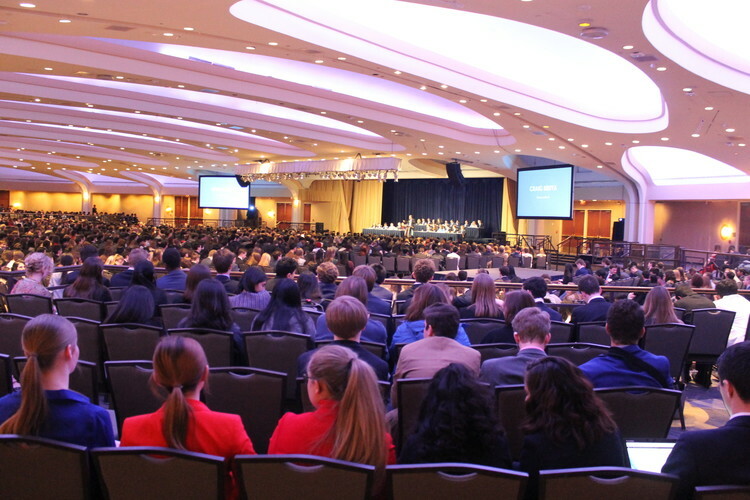 This was the evening before we were due to take part in the largest Mock United Nations in the Western Hemisphere along with three and a half thousand other sixth form aged students from across the world. As we posed in front of the Lincoln memorial, we wondered whether this great president’s oratory would help inspire ours. There was still time to take in some more sites before NAIMUN started in earnest. The next morning, we were taken around the Pentagon by a young naval officer, who managed to transmit her love of nuclear weaponry, together with her enthusiasm for the Valentines’ flowers and gaudy teddy bears that filled this iconic building; without any hint of irony. We then made our way to Capitol Hill, the heart of America’s beating democracy, to be shown round a funny Rob Delaney look alike. Not only were we taken into the old senate, recently restored to its nineteenth century splendour, a place that Dickens had visited and was apparently appalled by the mess made by the senators, ‘overflowing spittoons and all’, but we then found ourselves sat in the visitors’ gallery of the current senate. We watched as William Barr, was voted in, as the new Attorney General; a little piece of US history in the making. However, the bright lights of the numerous news crews were reporting on Trump’s declaration of a State of Emergency in order to build his wall. We then made the short walk to the Smithsonian National Air and Space Museum and strolled along, the star of ‘Night at the Museum 2’, to look at the neck-hurtingly big fighter jets and reminders of the space race. It was a truly remarkable museum: huge. In the evening we met, for the first time, in a vast cavernous hall in the bowels of the Hilton, before we split into our committees. This is when we met those students who we would spend the next few days with. These ranged in size from 14 people to 300, covering issues from national security and climate change to international banking. Our TWGSB delegation was spread across the lot, from Cuba to Westminster! The rest of the trip revolved around rushing to draft position papers, resolutions and persuading everyone else in the room that your ideas were the best... with mixed success. The numerous corridors were filled with noise, debate, the frantic typing on laptops, all the while arranging lunch breaks: and all the time being told ‘how cute our accents were’. We even managed to squeeze in a trip to Arlington cemetery, to look at JFK’s resting place, a memorable moment. What did we take away from the trip? Well perhaps it is fitting in a city where power is everything, that politics is a tough business, one that can be combatant, as well as a chance to forge compromises (prescient?). Ultimately, it was about the people, the chance to get to meet students, from all over the world and that was what made the trip special. 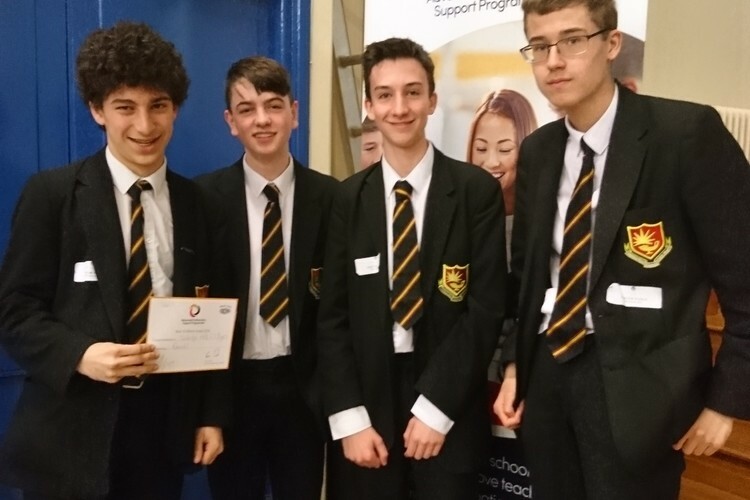 On Thursday 28th February, a team of four Year 10 boys (Elliot Cadell, Jack Dewar, Fynn Goodhew and Joseph Romans) travelled to Maidstone Girls Grammar School to participate in the Maths Feast event organised by the Advanced Mathematics Support Programme (AMSP). This is a fun educational challenge for Year 10 students which tests problem-solving and teamwork skills. There were four rounds representing a four-course feast - merry-go-round, comprehension, problem-solving and relay. 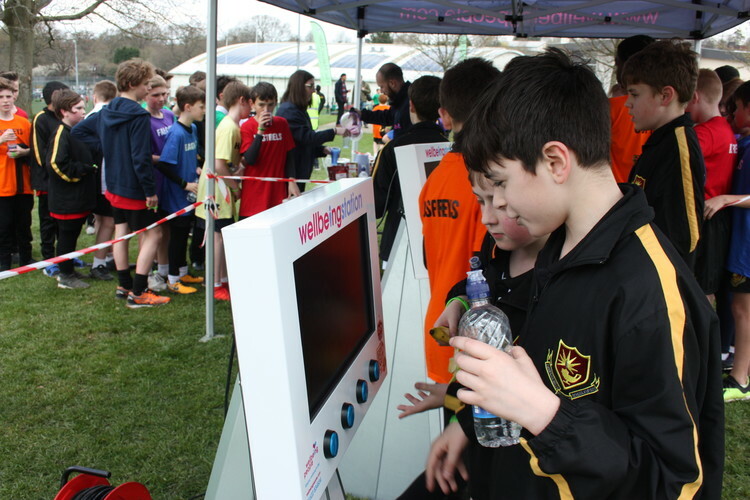 15 teams from different schools in the region went head to head in a closely fought competition. Our boys gave an amazing account of themselves in all four rounds and ended up winners in round 3. The tremendous attitude, teamwork and mathematical brilliance shown by the team has made the entire school proud. 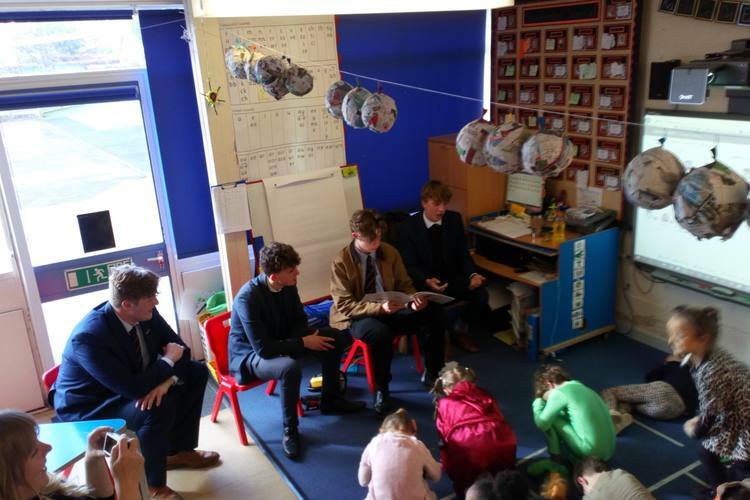 The Sixth Formers prepared a 1 hour lesson which they delivered to KS1 in groups of 3. They shared a story with the students and then helped them to design and create a bookmark linked to the story they had read. The Southborough students produced some excellent with support from our Year 12s, whose professional approach to the afternoon was admirable. We also ran a 'book exchange'. As last year, this was buzzing, students keenly queued outside to await the grand opening and after the initial rush they kept on coming. There were many happy and surprised faces as they ripped off the wrappings, "It's just like Christmas." was a comment that we heard more than once. A reminder from Mr Hall that the HOT HOUSE CLUB is up and running. We meet Wednesday lunchtimes in the school greenhouse. Any staff/students with a spare moment seeking a change of environment are welcome to pop into the greenhouse; bring your spare or orphaned houseplants for a reviving holiday, or just have look. ‘Writing is about what is flowing under the surface, not just the words on top’. So said Sita Brahmachari, guest author at the SESTBA awards evening on 27th March at Kent College. 18 boys from TWGSB listened to Sita and fellow guest author, Matt Killeen speak about influences in early life that lead them to become writers. Their novels, Tender Earth and Orphan Monster Spy were part of a ten novel shortlist that bookclubbers have been reading since October. The aim of SESTBA is to enable children to pick up and read a book, which they would not otherwise read. Thus introducing them to new genres and new experiences to broaden their horizons. 20 local schools took part and voted for their favourite book in two categories – teen and young adult. On Monday 18th March, Year 11 completed their drama exam to a visiting examiner and the Year 10 Drama GCSE group. They all performed at least one extract from an existing play in the form of either a monologue, duologue or group piece. 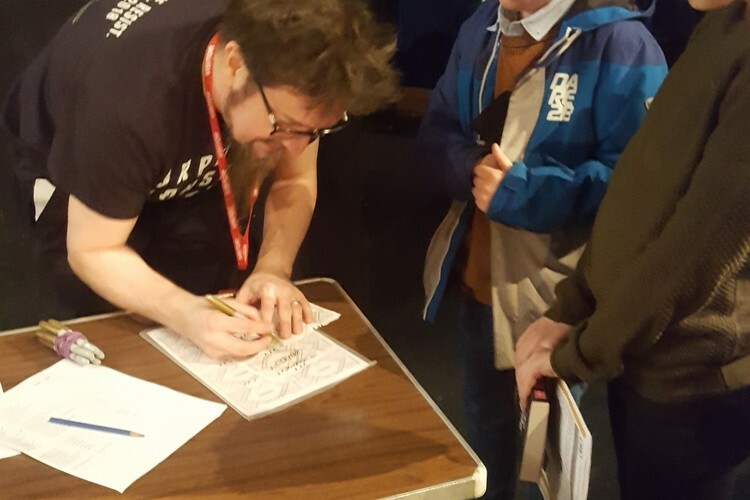 Two of our students also took on the roles of designer, one designing lighting for a student’s monologue and another designing the costume for a group piece. Extracts performed came from a range of plays including Romeo and Juliet, My Boy Jack, Journey’s End, Neville’s Island and Blood Brothers. We now have a nail-biting wait until August for the results but I thought they were all fab! 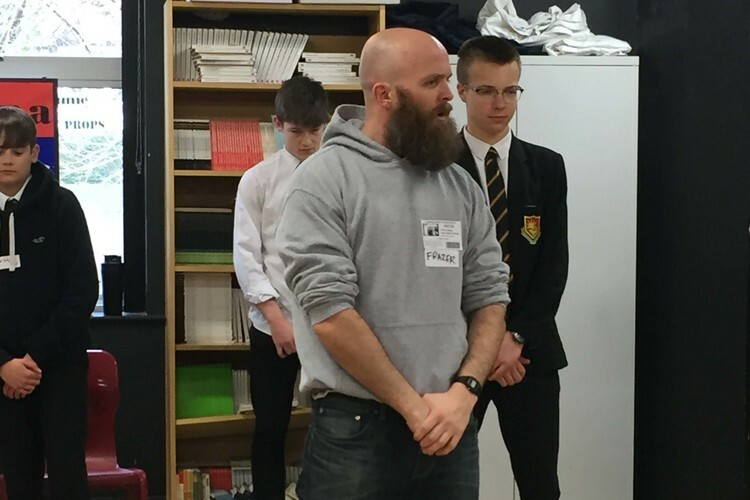 On Friday 8th March year 10 and 11 GCSE Drama were lucky enough to take part in a workshop with a visiting actor Frazer Hamil. Frazer was in town performing in a production of Bouncers by John Goldber at the Trinity Theatre, Tunbridge Wells. 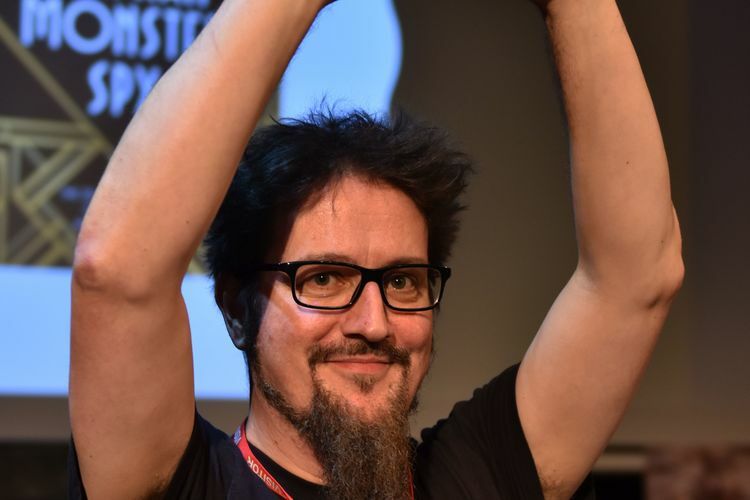 He worked with the students on creating, interpreting and performing character, rehearsing scenes and learning lines. In the evening we went to watch Bouncers, which was a lively, updated version of the original 1980s play and directed by Godber himself. It was interesting for the students to listen to feedback on how a director might approach scenes and direct his actors, which is what they need to do for their written exam. Nuffield Health - healthy eating and living. 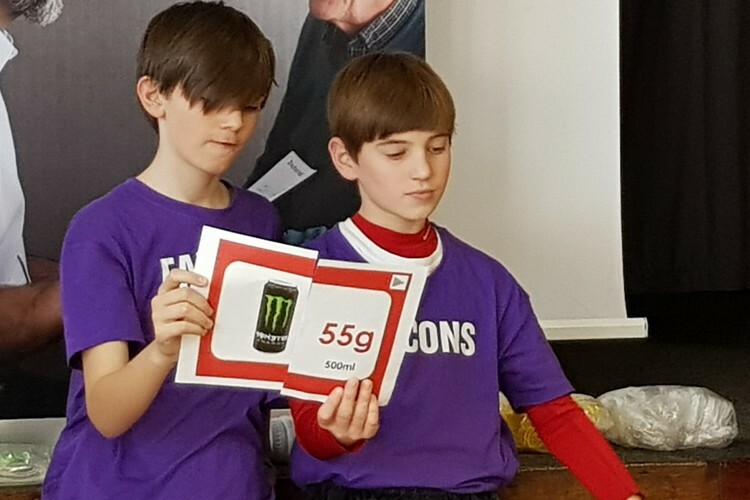 This included looking at the quantity of sugar in soft drinks. CPR and what to do in emergencies. Healthy Eating and making changes to personal wellbeing – goal setting. Fire Talk. This included talking about the consequences of actions such as setting off Fire Bells. Reflection , mindfulness and goal setting. Resilience – building resilience and coping strategies for dealing with stress. In the afternoon all students in 7/8 and 9 will take part in the Mason Mile run. Having won 4-1 against Harvey GS from Folkestone in the Semi-Final, the team played Oakwood Park GS from Maidstone in the Final. This was played on Wednesday 27th March at K Sports, Ditton near Maidstone. The squad was reduced in numbers with 3 players from the usual starting eleven unable to play due to injury. Midfielders Harry Forster and Rory Sturgeon picked up injuries prior to the Final and defender Nat Rofe suffered a head injury a few minutes into the Final. This was not our best performance of the season but we were pleased with the boys’ attitude and effort as they kept going right until the final whistle despite the 4-1 defeat. Credit to the Oakwood Park GS team who played very well and deserved to win. 46 teams entered this competition so to finish as Runners-up is a good achievement by the boys, some of whom have played for the school for 7 years. We thank them for their efforts over this period. The Year 13 players reached the last 16 teams in England in the national cup when in Year 7 and won the Kent Cup 2 years ago when in Year 11. The Year 12 U’17 team played against Leigh Academy in the Kent Cup Final. The boys put in a terrific effort in the Final at Maidstone United FC’s Gallagher Stadium. The score was 0-0 after 90 minutes and 0-0 after 20 minutes of extra-time meaning we shared the trophy. Very well done to all involved. The Year 10 U’15 team has reached the Final of the West Kent competition and will play Hayesbrook in May. 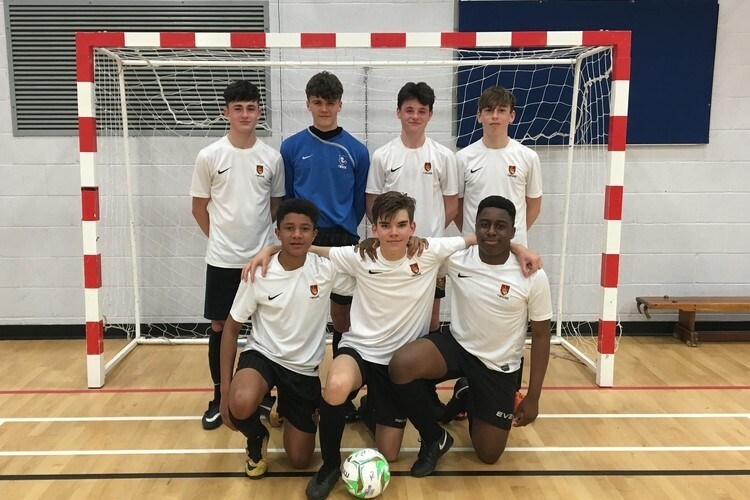 The Year 10 Futsal team has done tremendously well to reach the National Cup Final! The Final will be played against Van Dyke School from Bedfordshire on Friday 3rd May at St George’s Park, Staffordshire the National Centre for Football. Having beaten St Gregory’s and Dover GS the team travelled to Dane Court GS in Broadstairs and won a thrilling game 11-10 to be crowned Kent Champions. The team then travelled to Bedford for the South East Finals and qualified from those matches to reach the National Semi-Final stage. On Wednesday 27th March the team travelled to Birmingham and won its group meaning the boys have reached the last 2 teams in England. We wish the team the best of the luck in the Grand Final! Henry Sworder and Sam Gale have continued to represent Kent Schools FA U’14s. Their team won 4-1 against Sussex in the national cup semi-final and they have a national cup final to look forward to at Stoke City FC in May. The Year 8 U’13 teams have performed extremely well. The team reached Round 7 Last 16 (670 teams entered) of the ESFA National Cup and lost 2-1 away at Northampton School for Boys. The team also reached the Semi-Final of the ESFA Elite National Cup and lost against an exceptional Whitgift team who had 6 pro club academy players (3 Chelsea and 3 Crystal Palace). The team came within seconds of reaching the Kent Cup Final but eventually lost 3-2 after extra-time against Hurstmere who then went on to win the Final. The team has reached the Final of the West Kent competition and will play St Gregory’s in the Final in May. The team also reached the Final of the Kent Futsal Cup and lost 9-7 away at Harvey GS in Folkestone. The boys in the A team have had an excellent season and the school is proud of their efforts and achievements. The B team has done tremendously well to become the first team in the school’s history to reach a National Cup Final! The team won 3-2 after extra-time in a thrilling Quarter-Final against Ivybridge from Plymouth in front of 300 spectators and then won 3-2 after extra-time in an exciting Semi-Final against Kingsdale from south London. 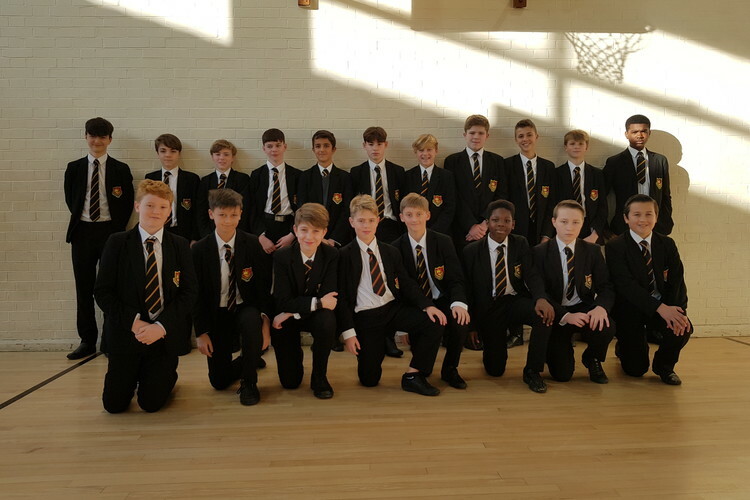 The boys have been a credit to the school and have a National Cup Final to look forward to in May at a professional club’s stadium.